Key takeaway: Ed’s Star Bar has a variety of games which you can choose from to your learners. Ed’s Star Bar allows learners to spend stars on the change to win prizes, as a reward for their hard work in your microlessons. Ed has two games on offer; Spin to Win, a game of chance, and Star Bids, a game of skill. In this article, we will look at how to select your desired game, and give an overview of how each game works. 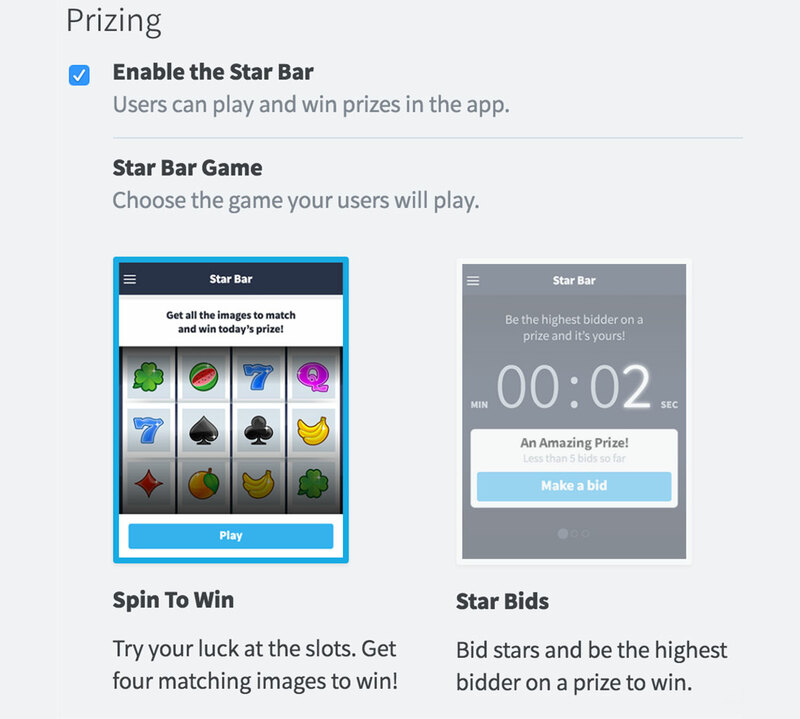 To choose which Star Bar game is active, navigate to the App Settings area of the LMS – located in the dropdown menu under your username (top right of the page). Here you can scroll down to the Prizing section, and make your selection. In this example, Spin to Win is the active game. In Spin to Win, learners spend 1 star at a time on the chance to win the current prize – if all four images match, then they are a winner. 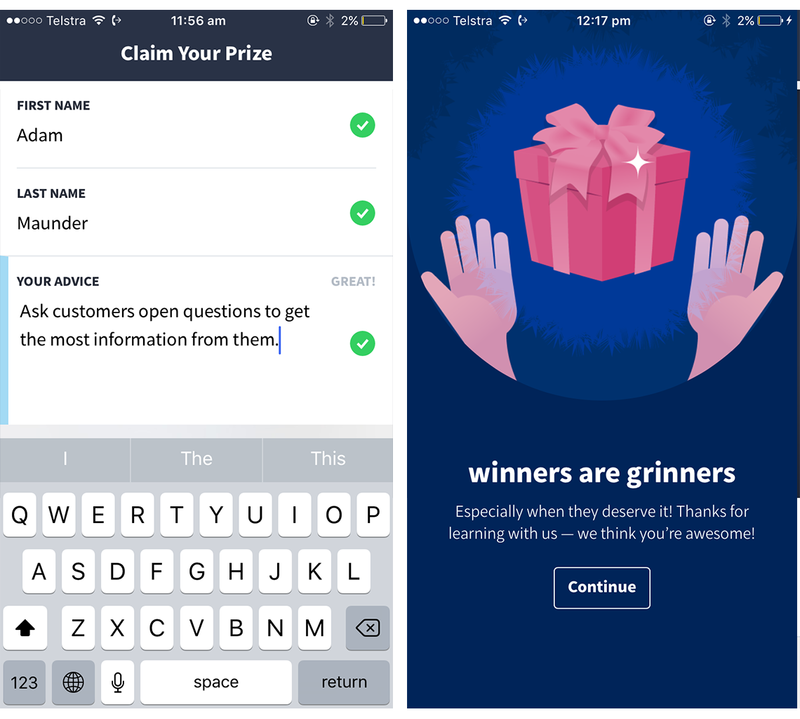 On winning, a learner is taken to the prize claim screen, where they are asked to input their first and last name, and 30 characters worth of advice (visible in the past winners screen). At this point, Ed immediately sends an email containing the prize details – so no fulfilment management is required by you. What’s more, Ed’s prizing algorithm dynamically updates the winning probability every five minutes (taking in factors such as the amount of users who can access the draw, the number of prizes already one and the number left to give out) to produce a draw which is guaranteed to dish out prizes evenly for its entire duration. This further reduces the burden on you, as once a draw is set up, no further management is required. 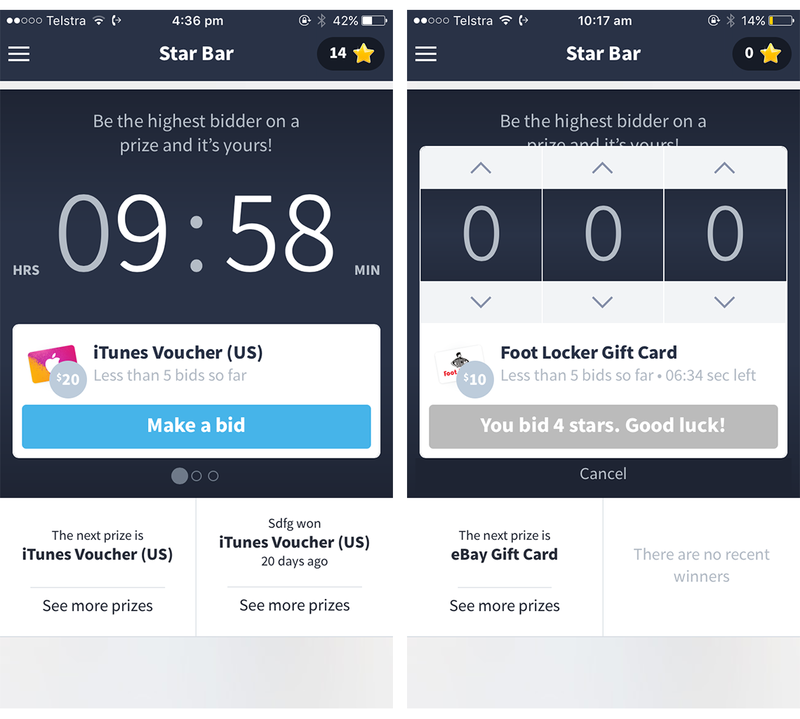 In Star Bids, learners bid a number of stars on a prize, and the person who bids the most stars wins the prize. Once they have bid, they cannot update their bid, and the stars they spent on the bid are lost. The learner must decide whether to play it safe and spend a lot of stars on the bid, or try their luck by spending only a few stars. Just like in Spin to Win, Ed handles all prizing fulfilment once a prize has been claimed. Ed automatically spaces out the prizes available over the course of a prize draw, so that there will be active auctions to bid on until the end of the draw, with any prizes not bid on returned to the prize pool. 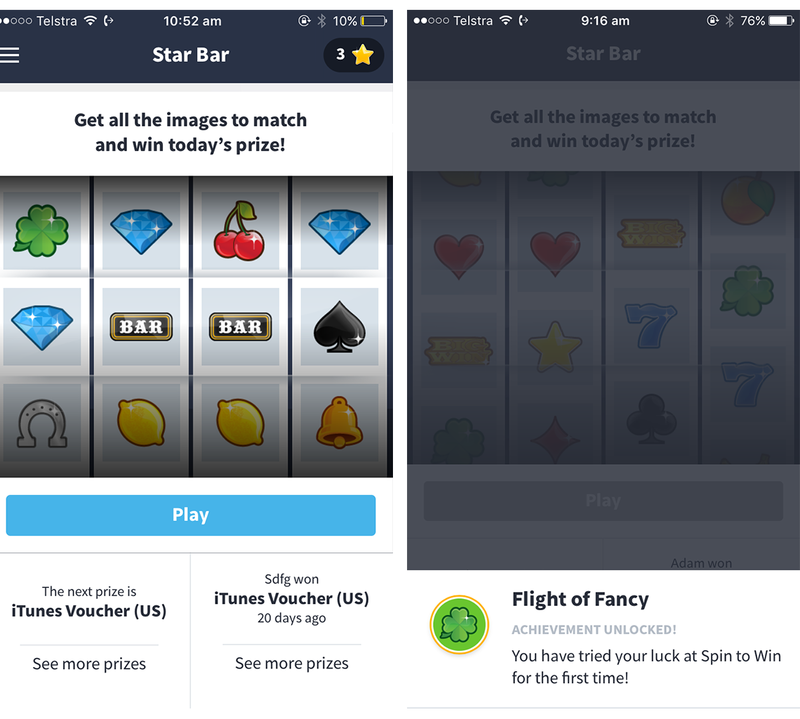 Want a more in depth understanding of the technical details behind our Star Bar games? Let us know on hello@edapp.com and we will provide you with further details.